There are now several more hours each week to get your natural wine fix in Somerville. The casual, after-hours bar that picks up after the ticketed dining experience at Tasting Counter is now open five nights a week, with extended hours on Tuesdays beginning at 5 p.m. 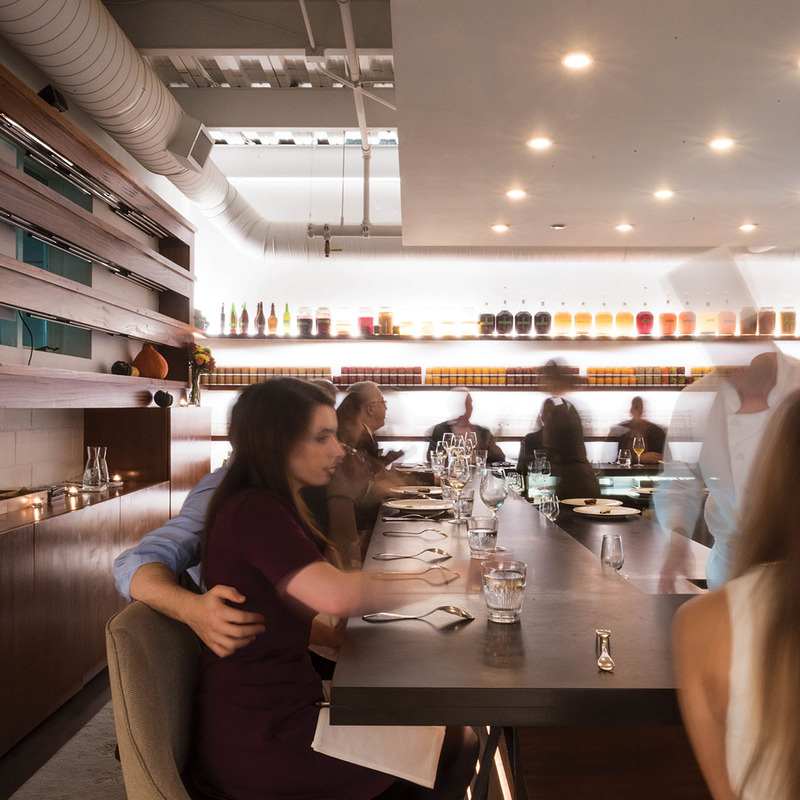 The wine bar, which started last fall, is a way to taste Peter Ungár and Marcos Sanchez’s local, sustainable cooking, without shelling out $180 for an inclusive, nine-course dinner. This spring, new bites (which start at $5) include seaweed pasta, squab wings, daily pickles and ferments, charred mackerel, and rhubarb clafoutis. Beverage director Eileen Elliott pours a range of the restaurant’s natural, biodynamic wines by-the-glass, starting at $8, alongside the snack menu. “Expect to rub elbows with visiting natural wine growers and local importers standing in to pour wine,” Ungár says. The Natural Wine Bar at Tasting Counter is now open Tuesdays from 5 p.m.-midnight, and Wednesday-Saturday from 10:30 p.m.-12:30 a.m.